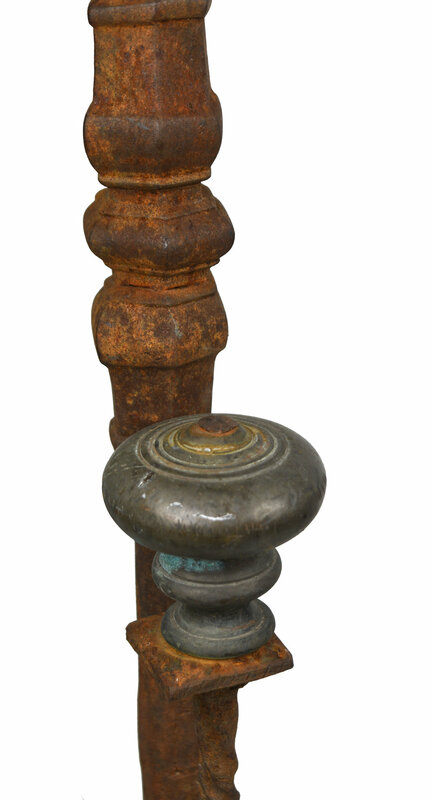 This large pair of iron andirons features unique decorative engravings. The excellent details include twisted ironwork and circular designs on the finials. Would make a striking addition to any fireplace area! 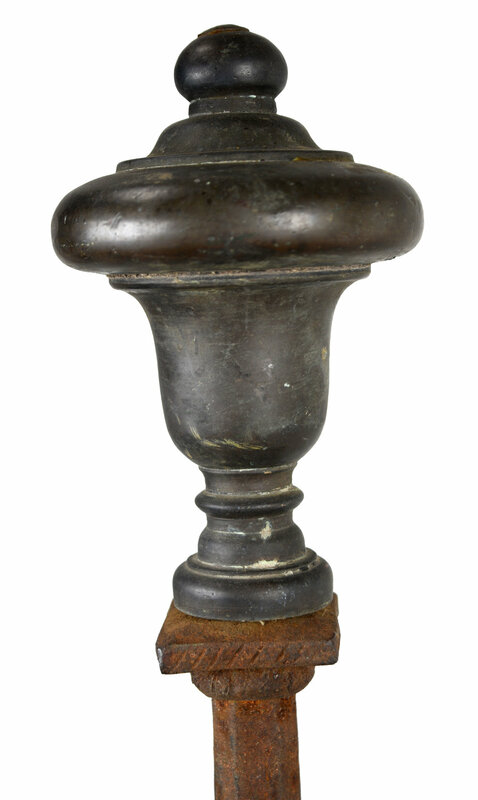 Note: One of the andirons has a missing metal spacer which causes it to rest lower than the other. Be sure to include the Product ID AA#48057 when making your offer.